Hunting for outstanding IT Outsourcing in Essex County, NJ? Computer Systems and Methods offers flexible and inexpensive Essex County, New Jersey IT Outsourcing Services to both small and large businesses. We enhance your technology processes, boost efficiency and simplify technology operations. We manage the time-consuming duties of IT projects and Technology Management so you can consentrate on operating your business. Established in 1984, Computer Systems and Methods has more than 3 decades of experience assisting organizations solve their most difficult Information Technology problems. Organizations of all sizes in Essex County, New Jersey rely on CSM as their technology vendor. CSM has long been a technology icon, providing IT Outsourcing in New Jersey to some of the Garden State’s most recognizable brands. What IT Support Does CSM Deliver? Brutal competitors, excessive taxes, and the country’s most expensive cost of living help to make just waking up each morning an effort. In order to run a profitable business in the Garden State, your company should have intense concentration on engaging your customers and expanding your revenues. Firms in Essex County, NJ always decide on CSM for trustworthy and reactive IT Outsourcing. CSM’s sole mission is to help companies decrease their information Technology budget and to streamline their operations. CSM’s Technology Staff is always available to help you with technology support, remote help desk services, or IT Projects. Our team of technology specialists will make sure the job is done, on-time, and below budget. With over 30 years of IT Outsourcing working experience, CSM does whatever it takes to deliver your company a competitive edge and keep your core software and network operating at optimum efficiency. If you’re seeking a organization to have confidence in for your IT Outsourcing requirements, look no further – we’ve been helping New Jersey companies since 1984. When New Jersey’s most demanding organizations require IT Outsourcing, CSM is the company of choice. 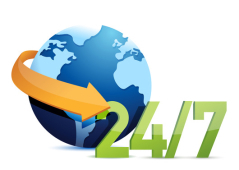 CSM’s flagship service, NetManage, delivers trustworthy 24×7 IT Outsourcing at an affordable, fixed monthly rate. NetManage allows you the freedom and peace of mind to oversee your organization, and not your network. If your business is looking for a nearby IT Outsourcing firm in Essex County, New Jersey to deliver on-site, or 24×7 remote support, just fill out our contact page and one of our technology experts will speak to you quickly.